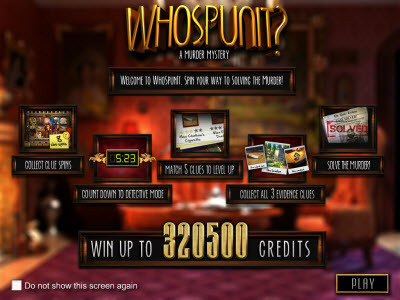 Overview: There has been a murder at the Wellington Manor and it is up to you to discover the clues in this brand new title from Betsoft Gaming. 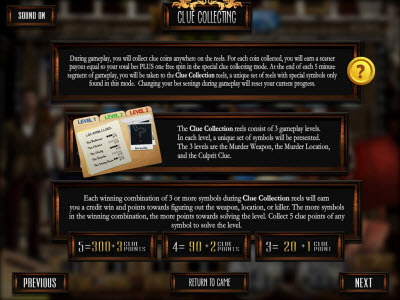 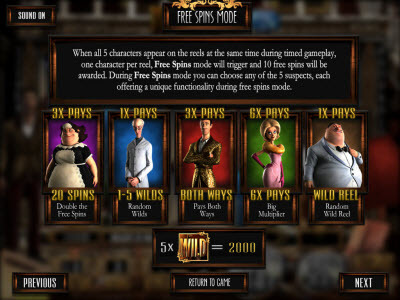 Immerse yourself in a slot machine like never before as the clues and details of the case mold to your gameplay, creating a completely unique and interactive case every time you play through the story. 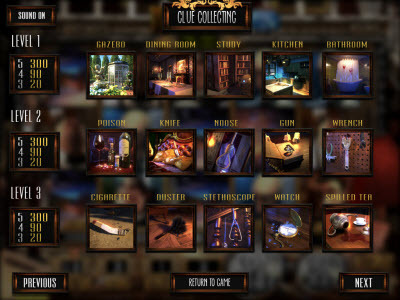 Play through multiple game levels to discover the Location, Weapon and the Killer clue photos. 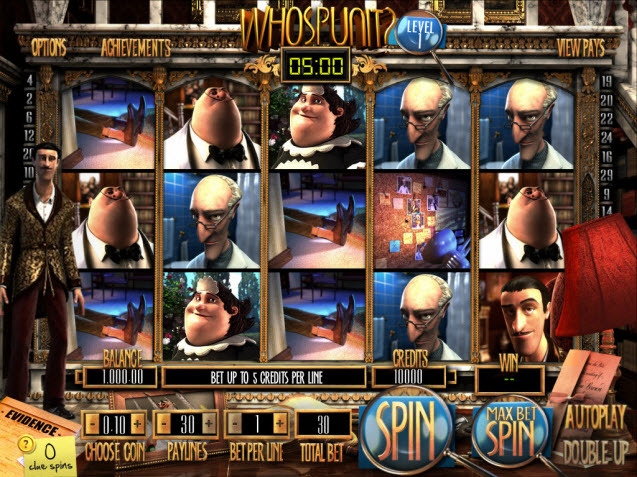 And the interaction doesn't stop there! 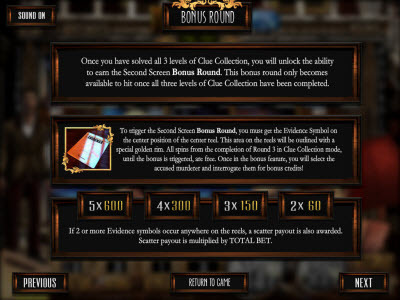 Once all of the clues have been collected, unleash the Second Screen bonus game to call the killer out, interrogate them and lock them behind bars. 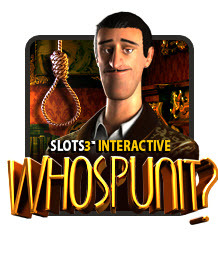 Similar Slots: If you like Whospunit?, you might like these other BetSoft Gaming slots: It Came From... 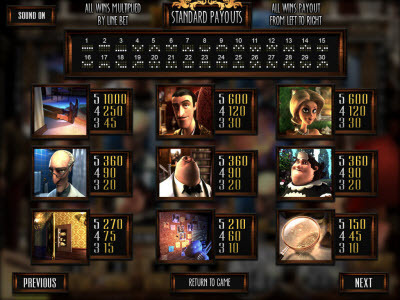 Venus!, Paco and the Popping Peppers, Rock Star, Slots Angels, Sugar Pop!.